March 19th, 2016, the scientists delegation led by Li Jianbin, the President of School of Information Security & Big Data Research, Central South University, recently visited E-Techco Group’s HQ in Shenzhen, E-Techco CEO John Zhang personally attended the meeting, the two parties held deep discussions. In E-Techco side, the meeting attendees also included COO & Executive President Melissa Zhao, CTO Dr Mike Ge, Investment Director Yu Fei, Market Director Zhang Yuanyuan, Senior Researcher Lila Zhang, Big Data Mining Director Ge Dongjun and Miss Chen Ying, etc. 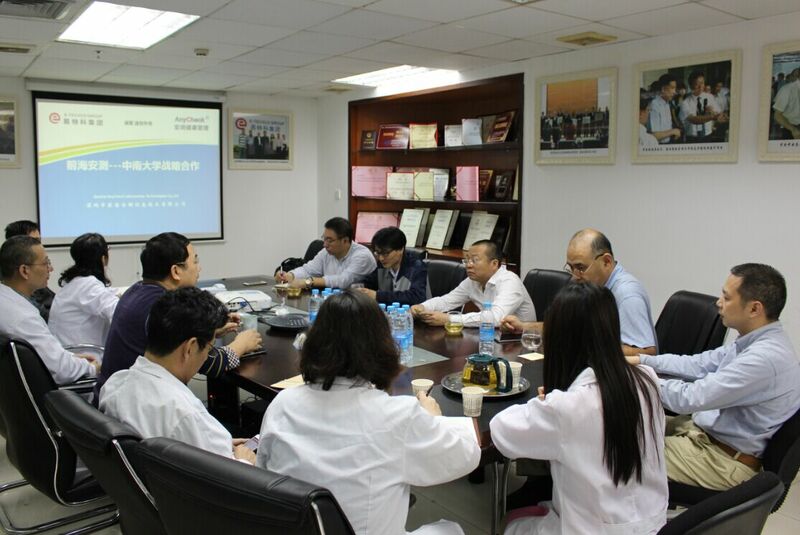 In the meeting, Dr Lila Zhang introduced E-Techco Group’s development situation and the future development tendency of internet medical, the president Li Jianbin introduced transparent computing technologies and its development prospects, and the two parties made deep discussions of transparent computing ‘s application in internet medical area, and reached primary cooperation intentions. Central South University, known as “National 211 Project”, “ National 985 Project”, “Outstanding Engineer Education And Cultivation Plan”, “Outstanding Doctor Education And Cultivation Plan”, “Outstanding Law Talents Education and Cultivation Plan” key University, which is comprehensive research university specialized and featured in medical courses and engineering courses. The President Academician Zhang Raoxue, is Academician of the Chinese Academy of Engineering, member of the State Council Informatization Consulting Committee, member of the Computer Society Universal Computing Professional Committee, expert of the PLA’s General Equipment Department Military Computer And Software Technology Professional Team. He successfully presided the research of the first domestic network router, and promoted the industrialization of the core product which concerning to the national security and information industry, initiated the international active service and transparent computing research, proposed the transparent computing theory and methods which broaden the Von Neumann structure in time and space, separating information storage, computing, management, and successfully developed the core distribution operation system and transparent computing terminals based on the transparent computing theory, which are extensively applied to the military , business, education, management area in China, were valued by the overseas and domestic academic community, were recognized by the overseas peers as the original results “prior to and including cloud computing”, and are currently broadening to the mobile internet and family internet areas such as service mobile phone and cloud mobile phone. XiangYa School of Medicine, CSU, was established by Hunan Yu Qun Society and Yale-China Association, Yale Univsersity in 1914. It is the first sino-overseas jointly organized medical school, enjoyes a high reputation as“south XiangYa, north Xiehe”. 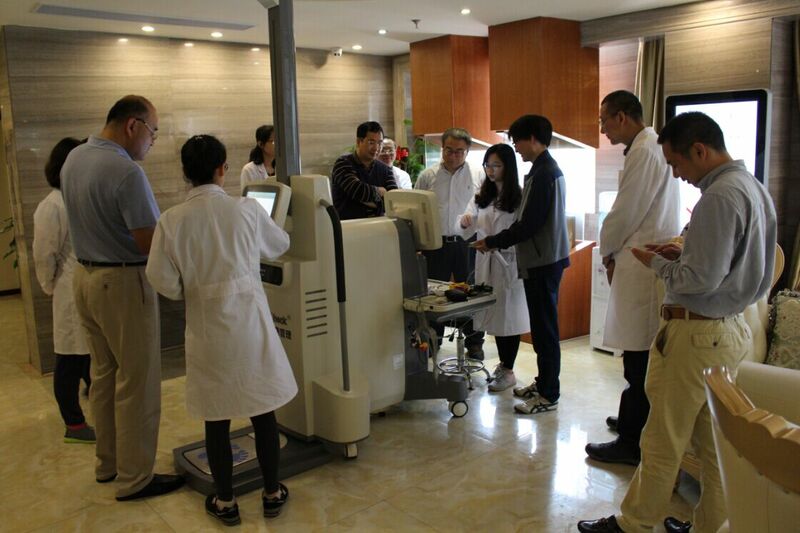 The university is co- instructed by Education Department of PRC and the National Health and Family Planning Committee of The People’s Republic of China, is one of the two universities that WFME and IIME chose to conduct standard trial researches at the same time, is also one of the first batch 5 universities that conducted the 8 year trial medical education. Dean Li Jianbin, Professor, PhD Supervisor, the Dean of School of Information Security and Big Data Research,CSU, member of the National Information Security Standardization Technology Committee (TC260), Chinese Academy of Governance E-Government Affairs Expert Committee, Government Information Security Checking Expert Team. E-Techco ( Qianhai AnyCheck ) is the domestic and overseas leading health management service practitioner, it is the first full license internet health service practitioner in the internet + medical area, continuously lead the industry to develop in technology innovation, service innovation, management innovation, operation model innovation, etc. In 2015, its operation revenue exceeded 900 million RMB. E-Techco group’s products have been extensively used in medical informatization, mobile health management area, which brings great convenience to the vast majority of health care providers, patients and relatives, leads the digital medical’s development in technology innovation and business patterns. Especially in community health management and chronic diseases intervention area, E-Techco (Qianhai AnyCheck) not only possess and operates a class 2 top hospital, has 12 O2O physical stores , 24 community hospitals, 3 old cadre sanatoriums offline, its self developed AnyCheck health management system and AnyCheck APP also win the favors of the consumers, as of today, AnyCheck APP downloads have surpassed 30.5 million, registered customers reached 8.25 million, ranks in the front in the national health APP rankings. 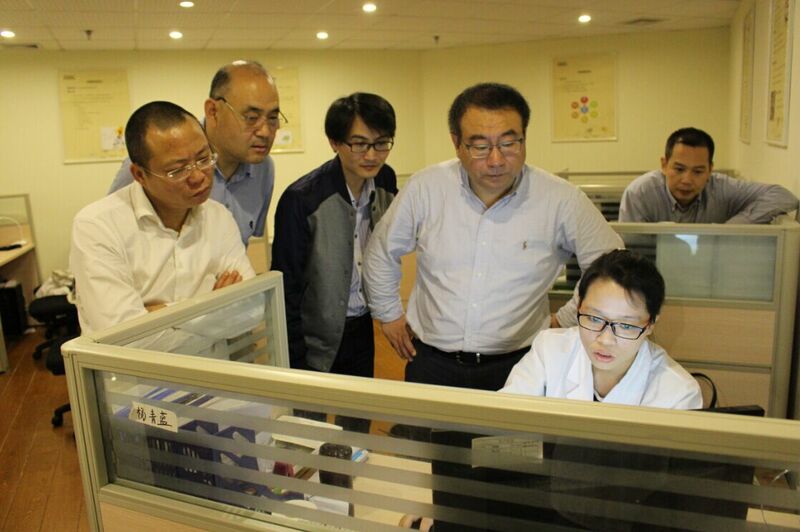 In addition, E-Techco has strong strength in medical big mining, has established long term close relationship with Southern Medical University, Dublin City University and Hainan Medical Colleague, has the qualifications and honors such as “Guangdong Province Internet Medical Engineering Center”, “Guangdong Province Medical Big Data Research and Application Demonstration Center”. E-Techco Group (Qianhai AnyCheck) ‘s Bio-IT innovation technology and its projects implementation experience in the O2O health service area, will provide reciprocal complementary strategic opportunities for traditional medical software companies. Intellectual property is the intangible asset for the company’s growth and expansion, as the leading domestic and overseas high-tech enterprise in the area of “internet + medical + health management + geriatric nursing service”, E-Techco(Qianhai AnyCheck) has upheld the way of “technology leads, innovation propels” for a long time, and attached great importance to the accumulation and protection of intellectual property. According to the latest intellectual property data of E-Techco (Qianhai AnyCheck), as of March 19 th, 2016, E-Techco has applied 1159 all kinds of intellectual property, including 892 applied patents, including 254 invention patents, 299new utility model patents, 66 appearance patents, 272 international patents(in the form of PCT), 100 software copyrights, 29 domestic and overseas trademarks, 7 domestic and overseas domains, 40 domestic and overseas authentications, 13 third party technology advancement certifications, 78 published papers. 448 authorized intellectual property rights, including 237 intellectual property rights authorization, 57 software copyrights, 16 trademarks, 7 domains, 40 international certification, 13 third party technology advancement report, 78 published papers. In order to praise E-Techco Group’s contributions in technology innovations, Shenzhen Municipal Intellectual Property Bureau awarded E-Techco as the third place in its recently published 2014 annual Shenzhen intellectual property work advantage 20 list. In the health big data area, E-Techco makes full use of its “bio-sensor technology, informatization platform, health management service” whole industry chain advantages in the internet medical area, positively engages in the big data reduction and mining, has made remarkable achievements. 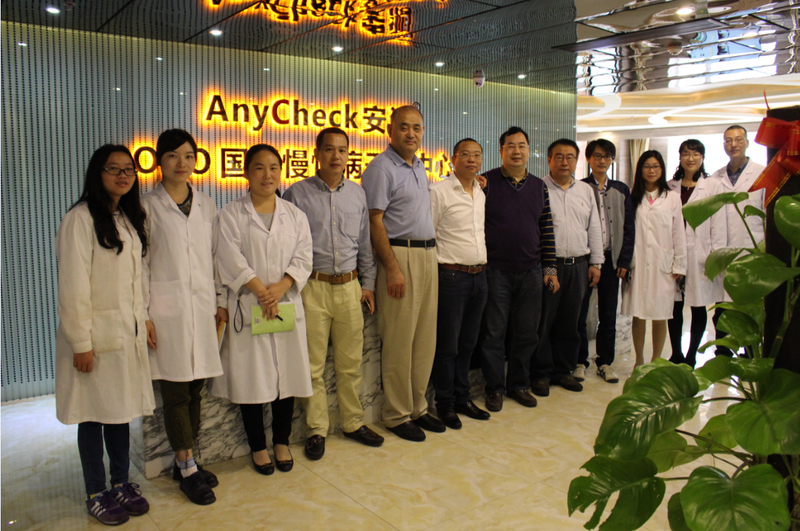 E-Techco “ The R&D And Application Demonstration Of AnyCheck Comprehensive Mobile Health Management Service Platform Based On Big Data Application” was appraised as Guangdong Province Big Data Application Demonstration Project. School of Information Security and Big Data Research, CSU, has dedicated to transparent computing theory and big data mining and application research, ranks the forefront in the industry. This time, the strong alliance of E-Techco and CSU, will strive to create all life circle health big data industry chain, solve the puzzles of the internet medical base on traditional computer technologies through transparent computing technology, promote the transparent computing application and research project landing through internet medical, contribute to the national nature science development and China’s medical industry.